In Security Through Absurdity, Book One: Little Yellow Stickies, author Rachael McIntosh presents a fictionalized account of her harrowing experience working for a defense contractor from 1997 until 2004. The time period was notable for the infamous September 11 terrorist attacks in New York and Washington, DC. “It was a time of technical transition and national transformation,” McIntosh writes at the beginning of the book. McIntosh’s life story has an unusual series of twists and turns. The Cranston native graduated from the Massachusetts College of Art and Design and was living and working as a visual artist in Boston. She created her own gallery space, which also featured a digital recording studio and a black box theater. McIntosh then was hit with a double whammy: Her father was killed in a plane crash and she was afflicted with a mysterious illness that turned out to be Multiple Sclerosis. McIntosh relocated to Connecticut and wound up as the marketing director at realARTways in Hartford. The commute was long and the salary was meager so McIntosh went to a temp agency and applied for jobs at a toilet paper distribution company and with a defense contractor. McIntosh was the youngest person at the defense contractor office and was well compensated for her work. McIntosh’s boss would give her messages on Post-it Notes, the “little yellow stickies” of the title. “I did everything they asked me to do,” McIntosh recalled. The atmosphere was bleak, with a bland color scheme. McIntosh quit her job when she became pregnant with twins, and then her marriage ended in divorce. McIntosh said she became “sorely disillusioned” with the whole political process after attending the Republican National Convention in 2004. She was a delegate for presidential candidate Ron Paul. McIntosh spent every night typing up her experiences into a book. The writing process was a “fascinating artistic journey,” McIntosh noted. 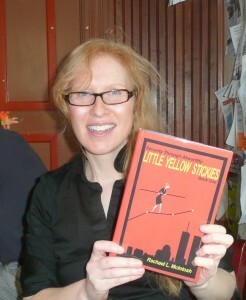 When McIntosh turned in her manuscript to the publisher, they determined there was too much material for one book and the decision was made to turn the story into a trilogy. McIntosh said Book Two: Bubbles Will Pop and Book Three: The Big Show are in the editing stages at the publishing company and will be released in the not so distant future. Response to Little Yellow Stickies has been favorable, and McIntosh believes the book is igniting discussion about our national security protocols in the wake of 9-11. “Security Through Absurdity contains a string of moments saved in such a way that people might enjoy consuming this information while feeling safe to share it,” McIntosh writes on her website. “(Readers) know it in their heart to be true,” McIntosh said. 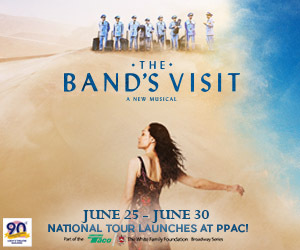 For more information, go to McIntosh’s web site at rachaellmcintosh.com. 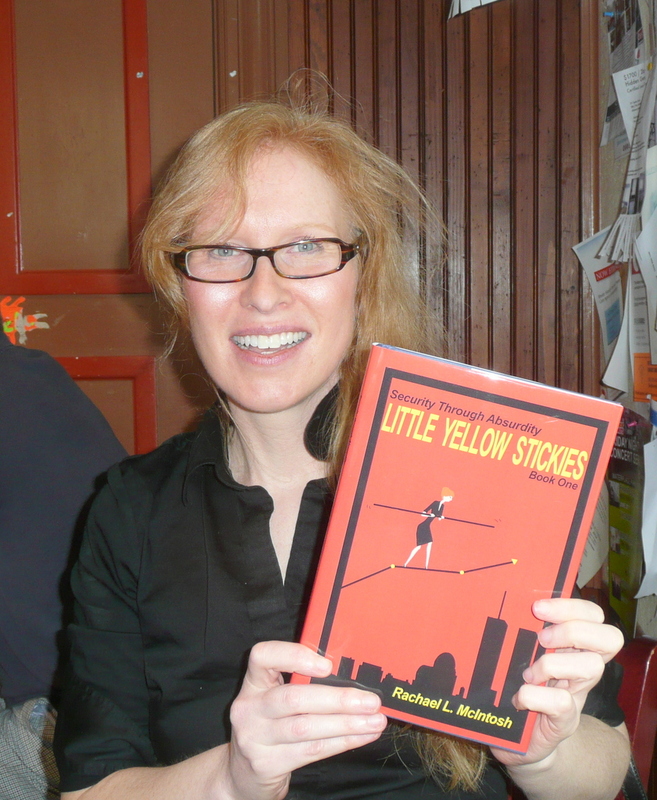 A book launch party for Little Yellow Stickies will be held in Newport on June 28 from 4 – 6pm at the Fast Net Pub (formerly Aidan’s), 1 Broadway. Was Ron Paul a candidate for President in 2004? no. Mike Rollins as you know, he was a candidate for President in 2007/2008 election season and for the 2012 election. I left the defense company in 2004. Also you might recall, I was an Alternate Delegate. But the character in the book goes on to become a full fledged Delegate. Rachael L. McIntosh I supported Paul in 1988. He was great.